The PMI VectorLink Project delivers vector control interventions and protects millions of people from contracting malaria. An integral part of the PMI VectorLink Project is robust entomological monitoring, enabling entomologists to identify which mosquitoes carry malaria, the relative geographical and temporal distribution of the mosquitoes transmitting malaria, and the feeding and resting habits of the vector. PMI VectorLink entomologists monitor the quality of spraying as well as the length of time that sprayed insecticides remain effective. Monitoring also helps to determine which insecticides are effective against the target mosquito population and to assess the impact of IRS on mosquito population and behavior. The collected data is made public through the IR Mapper, which consolidates reports of insecticide resistance in malaria vectors onto filterable maps to inform vector control strategies, and guides PMI and country governments in IRS programming. Knowing and understanding vector density, longevity, and resting and feeding behavior of malaria-carrying mosquitos is essential for effective vector control planning. Beginning one month before the start of spraying and continuing post spray monthly for the duration of the malaria transmission season, PMI VectorLink entomologists work with local government entities, research institutes and universities to collect such information from both sprayed and control villages. The data is used to assess the impact of IRS on vector density and behavior. Using World Health Organization (WHO) cone bioassay tests, we conduct efficacy testing of the insecticide in the first week of the spray campaign to determine whether spray teams correctly sprayed the wall surfaces. Each month following the spray, cone bioassay data continues to be collected to determine whether the insecticide has remained effective on sprayed surfaces. 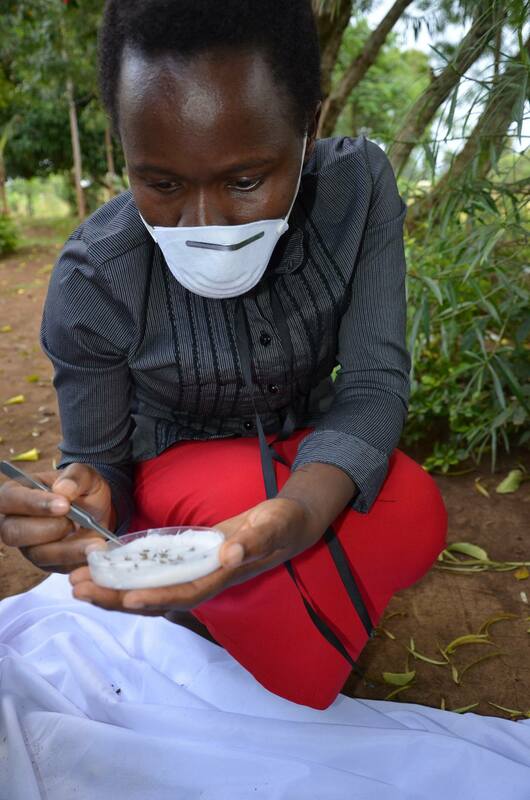 Each year after a spray campaign is completed, data on the susceptibility of vectors to potential insecticides is collected, analyzed, and presented to local government and in-country partners to support the selection of the next year’s insecticide for IRS. PMI VectorLink also uses WHO tube tests and Centers for Disease Control and Prevention bottle bioassays to determine the level of resistance malaria-carrying mosquitoes have developed to insecticides. Insecticide resistance and residual life data helps PMI and host country governments to properly identify the most effective insecticide to use and the best time to spray to reduce the burden of malaria. PMI VectorLink captures uniform entomological data across project countries for effective IRS planning and assessing impact of IRS on entomological indicators. PMI VectorLink uses an entomological database for two important indicators: Insecticide Resistance and Cone Bioassay Tests. The entomology database uses web-based “cloud” storage capacities to allow for easy real-time sharing of information within the country and with the home office, which can be used for further analysis, evaluation, and feedback. The PMI entomology database produces summary tables and charts using a push button function. This reporting function simplifies the work of entomologists. In areas where there is less technical skill, the tool can easily generate the report. The database also allows for pooled, detailed and comparable analysis of the entomology data from multiple countries, and enables PMI to contribute to the global and/or regional entomological data pool. Trained and well-experienced entomologists in malaria control programs are key to establishing a strong entomological monitoring system. Where possible, PMI VectorLink hires trained entomologists to coordinate and lead entomological activities in the project countries. In countries lacking trained entomologists, PMI VectorLink provides extensive training on basic entomological monitoring, with a focus on practical demonstrations and field exercises. Trainees are supplied with the necessary equipment and deployed to conduct field work under the direct supervision of experienced entomologists before being allowed to work independently. Continuous assessment, technical support, and on-the-job training are provided. PMI VectorLink provides the information governments and stakeholders need to ensure IRS is effective and efficient. Strong data combined with increased capacity of local governments to implement IRS is helping to reduce the incidence of malaria.